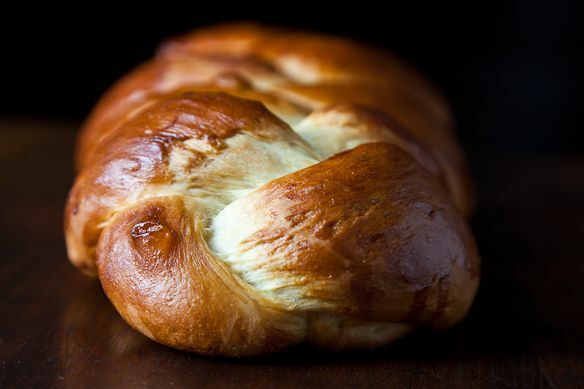 With your help, we're battling Serious Eats for the ultimate Thanksgivukkah recipe. 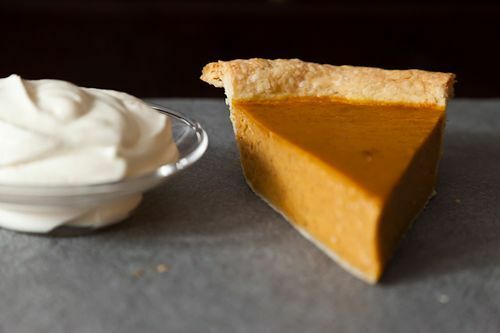 See what both sides dreamed up below, and tell us which one you'd rather eat on this once-in-70,000-years, doubled down holiday. 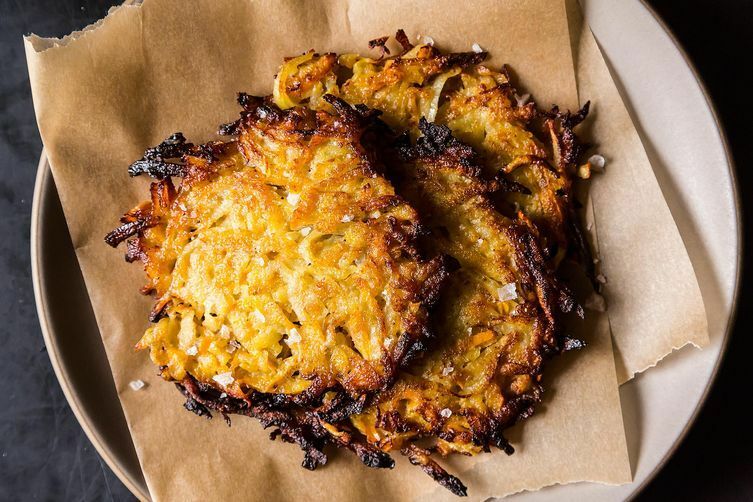 A few weeks ago, to celebrate the once-in-a-lifetime superholiday known as Thanksgivukkah, we challenged Serious Eats to a friendly competition (we've done this before): whose community could dream up the finest Hanukkah/Thanksgiving mash-up recipe? Brilliant and -- we must say -- rather gluttonous comments flew, and at the end of the week, we read through all of your ideas. Then we got really hungry. Then we crammed as many of them as we could into one delicious sandwich. 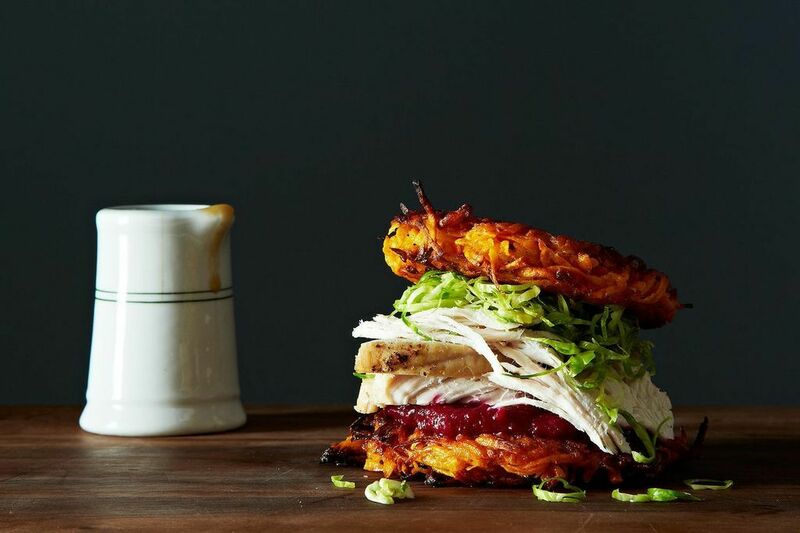 To be more specific, the Thanksgivukkah Double Down is a classic leftover turkey sandwich on turkey schmaltz-fried sweet potato latkes. Also on the sandwich: cranberry applesauce and shaved brussels sprouts, dressed in warm schmaltz-cider vinegar dressing. With a side of gravy, for dunking. 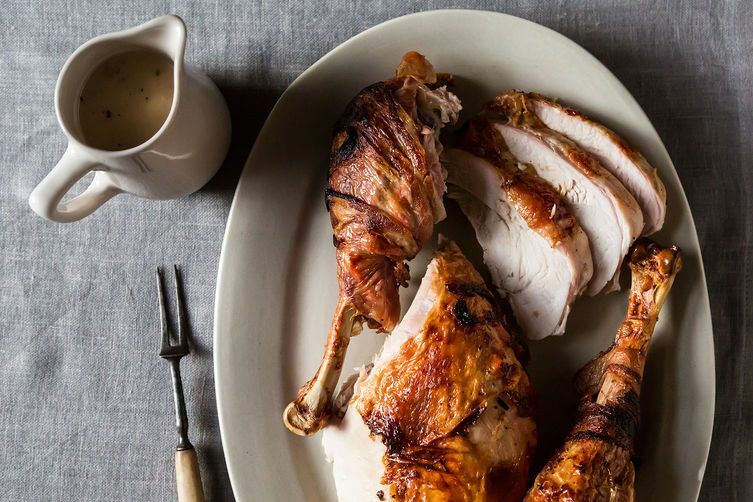 Or, as Food52er Rachel Goldberger Teichman wisely framed it: "Gluten-Free Turkey Sandwich". 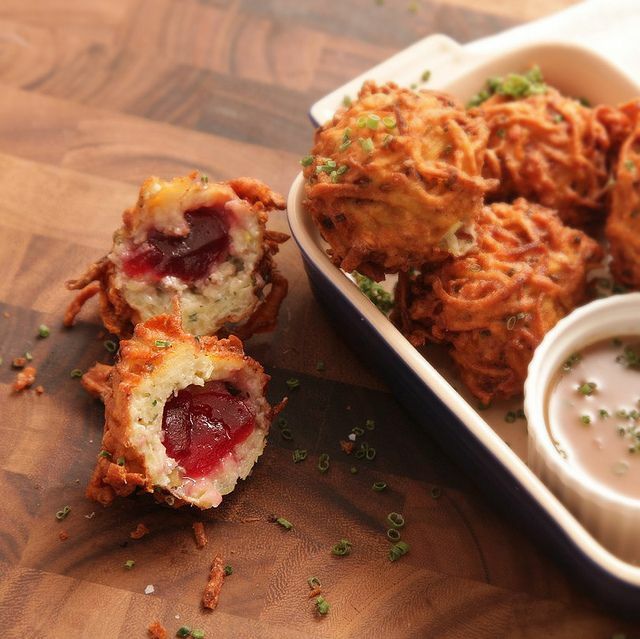 Chief Creative Officer J. Kenji López-Alt explained, "We wanted to combine the quintessential flavors of Thanksgiving -- stuffing, turkey, and cranberry sauce -- with the essence of Hanukkah -- latkes and deep fried things. 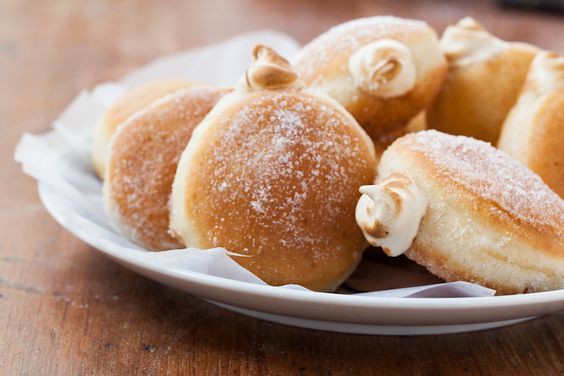 They come out of the fryer ultra-crisp with a light, puffy stuffing layer and a soft, near-liquid cranberry center that bursts in your mouth when you bite into it." Valiant things to celebrate, we say, and we'll take 6 orders please. 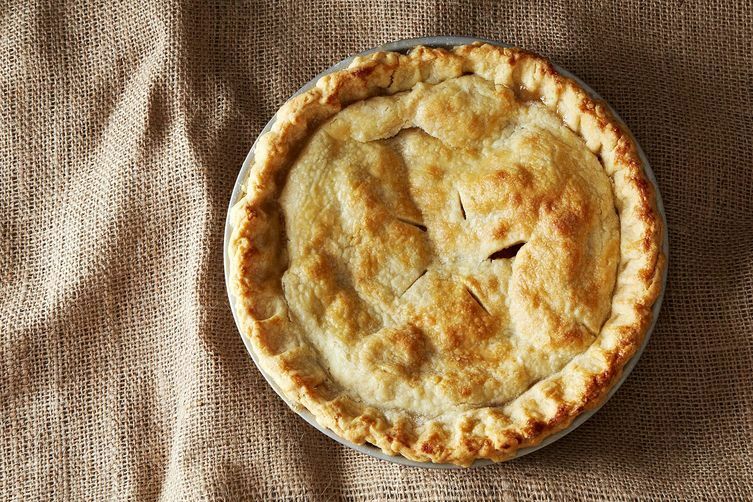 Clearly we're all winners here, but tell us: which would you rather eat on Thanksgivukkah? Double Down photo by James Ransom. Fritter photo by J. Kenji López-Alt. Sorry but I've got to go with Serious Eats. That dish sounds irresistible. Serious Eats wins because they provided a recipe for each item. Or you could serve with disposable surgical gloves and a pile of wet wipes and napkins! Um...that well-constructed pile of love is everything a starving ballerina could dream of in one sitting! Hot, crispy potato, moist turkey, smart green slaw, tart cranberry-apple compote... Food52 has serious beat !!! Thanks for the mention! And those fritters look fabulous too! I'll be ordering the double down, completely won me over with sweet potato latkes. I originally thought DOUBLE DOWN! But after giving it more thought, I feel that anything in sandwich form is a winner... so why can't we just throw a few of the fritters inside that double down!? We'll all be better off for it. Going with the fritter for creativity and practicality, though I'm a bit skeptical the taste would live upto the idea. That stuffing fritter looks and sounds fabulous - though more time intensive than the double down - still goes in my wish list of recipes though! Looking forward to the smackdown! Definitely the double down, HANDS down! Food52's sammie is awesome in presentation, but it sounds pretty greasy, and I can't imagine eating it with my bare hands. Those little fritters look much more manageable and as a bonus, they're vegetarian (or maybe I just can't see the turkey in the picture?). Recipes, please! I ate it with my bare hands! And it was good.